Kenya became independent and a member of the Commonwealth in 1963. In that year, a residence for the high commissioner was bought for £17,500 at 2 Tchui Road, Muthaiga, the best residential district of Nairobi, with grounds of about 4 acres. Extensive ingoing works were carried out, costing about £40,000. The house was enlarged in 1973 at a cost of about £11,000 to bring it fully up to the representational standards of the time. It remains the residence. The first offices were leased in Shell and BP House on Coronation Avenue, with consular, passport and immigration sections in Cotts House on Wabera Street. 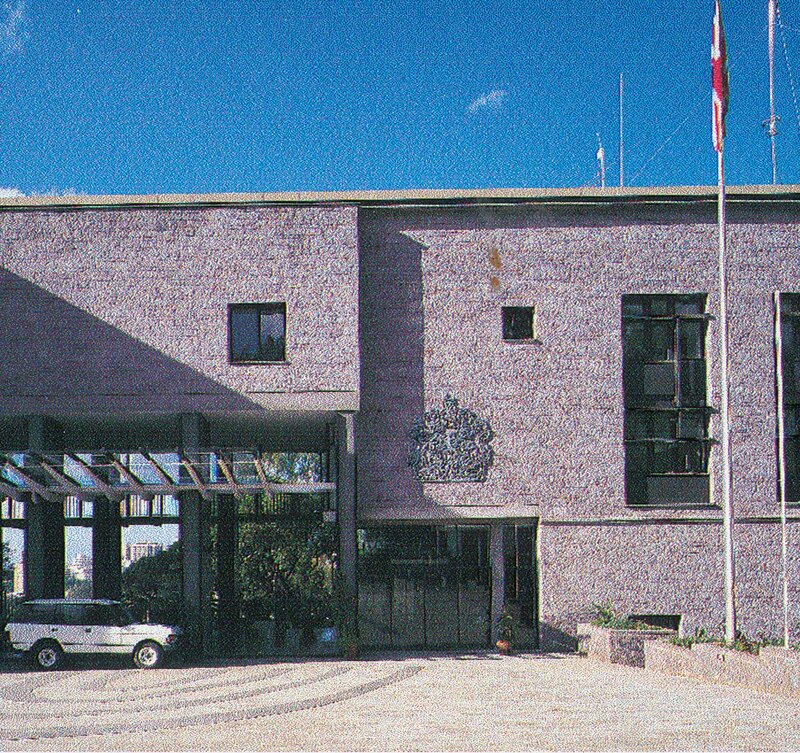 The regional office of the Ministry of Public Buildings and Works was in Gateway House, Aga Khan Walk. In 1971, all the offices were moved into four floors of Bruce House, Standard Street, on a 21-year lease to 1992. Staff accommodation for about thirty-five UK-staff was bought, leased, built or transferred from the Ministry of Defence during the early years of the high commission. 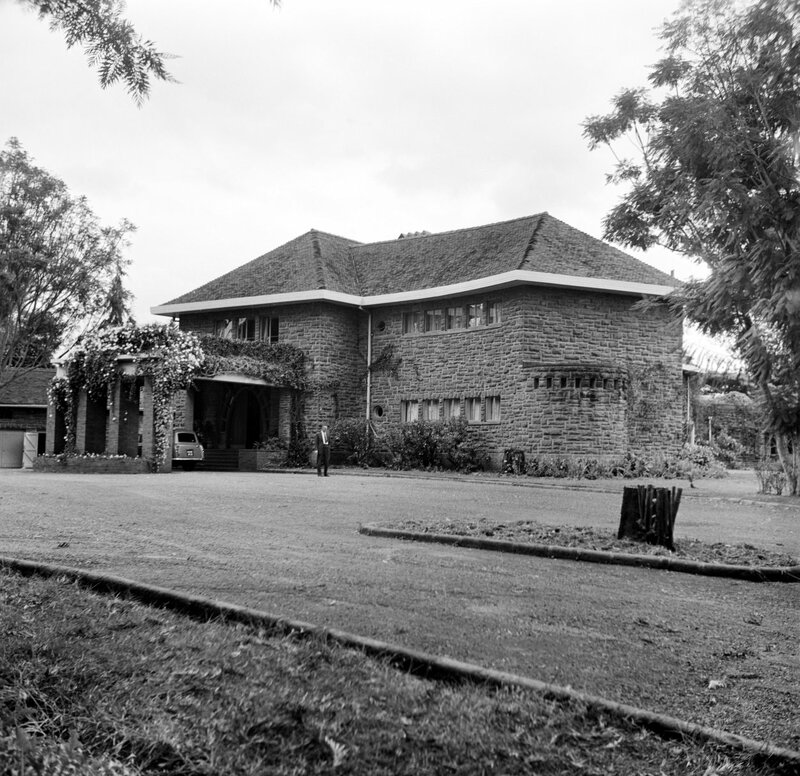 The largest of the houses was Hamilton House, Karura Avenue, bought for the deputy high commissioner in 1963 for about £10,000 with nearly 4 acres of ground: twenty years later, its size became a cause célèbre for the Public Accounts Committee and it was sold in 1985 to the Kenyan government as an official residence for the vice-president. 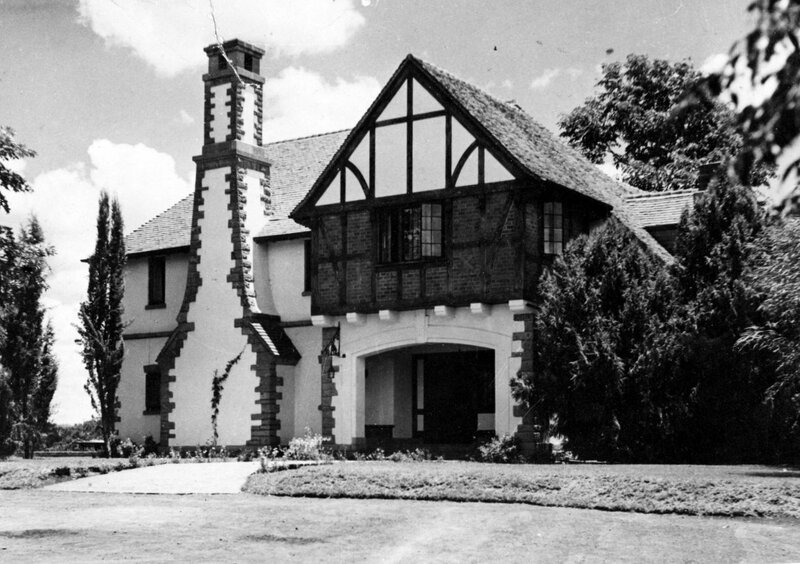 Another good house, Jessop House on Lower Kabete Road, occupied by the trade commissioner, had been taken on a 99-year lease in 1960. The UK-based staff complement at Post reached 60 in 1990, 40 of whom lived in freehold or long-leasehold properties. About half of these were free-standing houses and bungalows, mostly for counsellors and first/second secretaries, including eight bungalows and a club, pool and tennis court built by the Ministry in the grounds of Gitanga House. The other half were flats, including in Bristow House and on Riverside Drive. Roughly a third of the staff lived in properties taken on short leases. It was clear by the mid-1980s that the lease on Bruce House should not be renewed beyond its expiry in 1992. A very promising new site on which to build was identified in 1985, between the Upper and Lower Hill Roads on Nairobi Hill. It was of 3.5 acres, well wooded and gently sloping, with views across a golf course and the Uhuru Highway to the city centre about a quarter of a mile away. There was a vacant house on it, previously occupied by the manager of Kenya Railways, but this formerly residential area was now zoned for commercial use. With the cooperation of the Kenyan government (which was contemporaneously seeking to buy Hamilton House), a 99-year lease on the new site was bought for about £65,000 plus annual ground rent, with occupation from 1 January 1988. A design selection exercise involving three UK practices was won by the London architects Cullum and Nightingale in 1989. Their design lay the new offices, three storeys high, across the site and along its contours, near and just below the principal entrance from Upper Hill Road. The building was divided into two wings, separated by a large arcade with views to the centre of Nairobi and the Kenyatta Tower. One wing housed the departments accessible to the public (consular and immigration, commercial, aid and the British Development Division); the other, chancery, management and information. The grounds were extensively landscaped and included car parking, garaging, a small club, a swimming pool and two small houses for UK-based staff. Working drawings and, later, site supervision were by the Nairobi-based executive architects, Hughes and Polkinghorne. Tender results in 1991 showed UK contractors bidding about 15% above local firms for the job, estimated at about £5.5 million. An Asian contractor, Mulji Devraj and Brothers, was accordingly selected. At that juncture, the high commissioner felt himself duty bound to tell the chief clerk at the FCO that he saw a considerable risk of a white elephant in the making. London saw greater risk in changing course, and work started on site in 1992. By then, the lease on Bruce House had been extended until 1995. 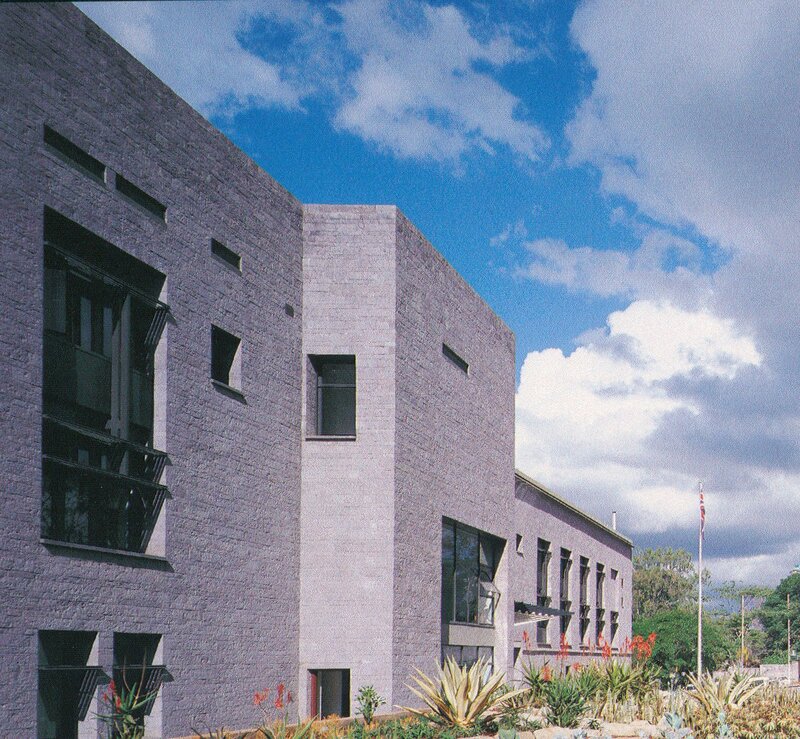 For a critique of the new offices building, see Catherine Slessor’s ‘Diplomatic Service – British High Commission in Nairobi, Kenya’ article in The Architectural Review, July 1997. 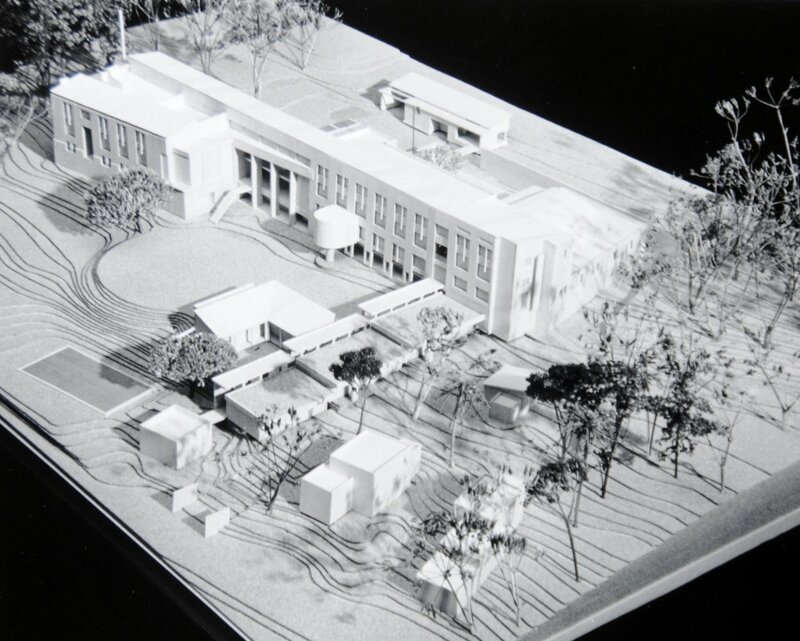 Model by Cullum and Nightingale of their proposed scheme, looking from the south, uphill, entrance side, 1989. 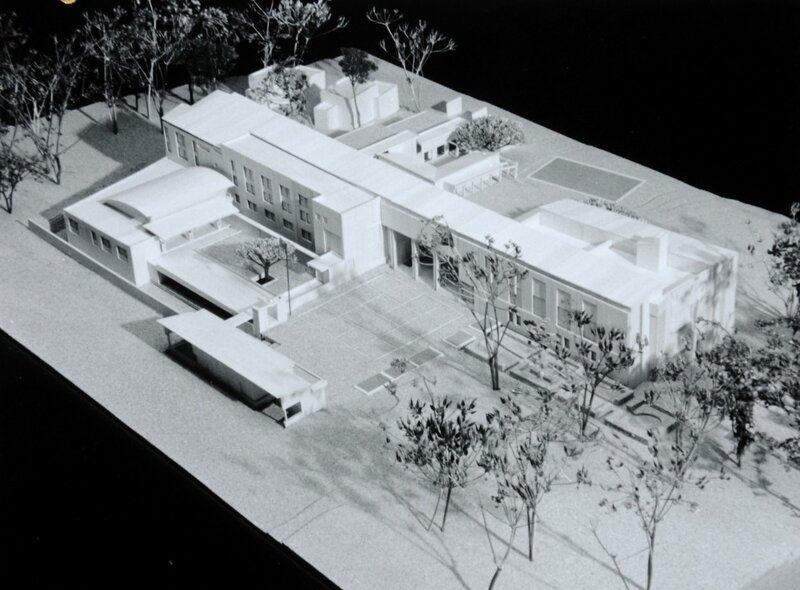 Model, viewed from north, downhill, garden side, 1989. Entrance to building, with view north through central arcade to city centre, 1996. View from west along part of entrance front, 1996.